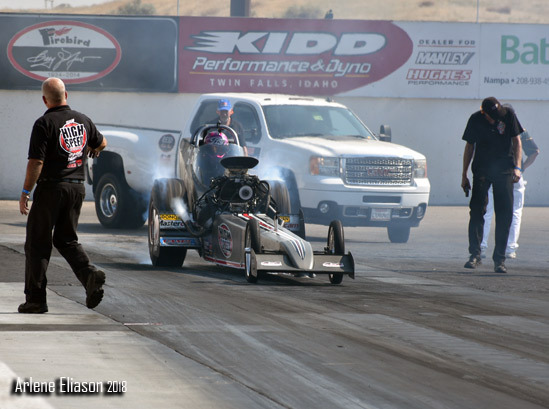 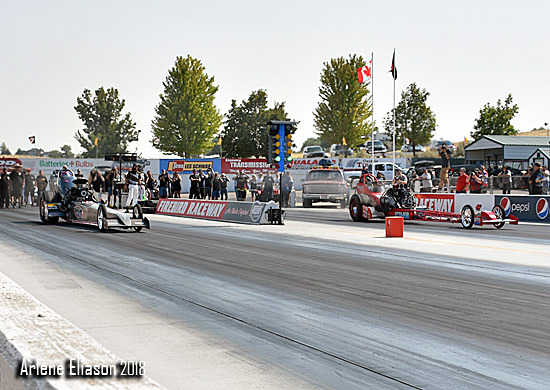 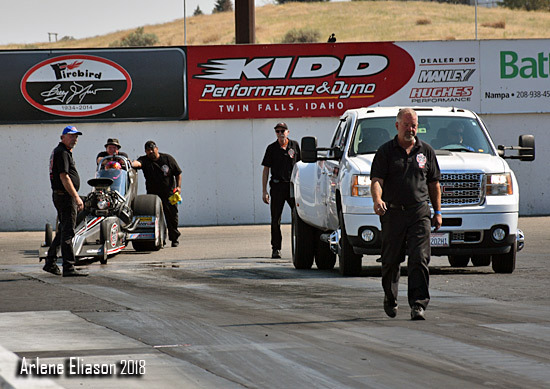 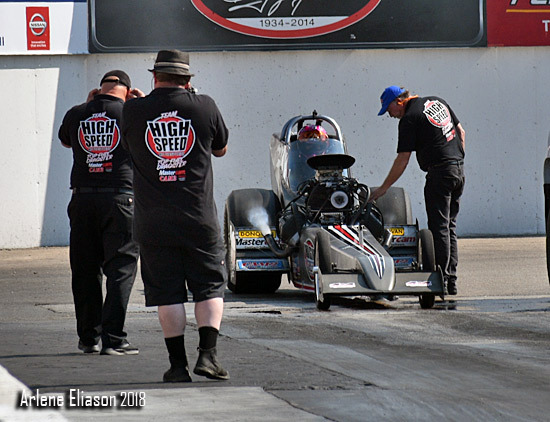 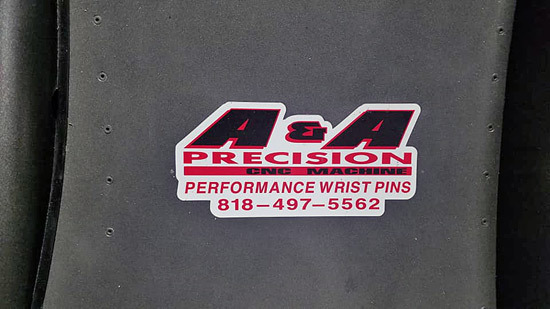 Final rounds are becoming common place for Team High Speed, but never taken for granted. 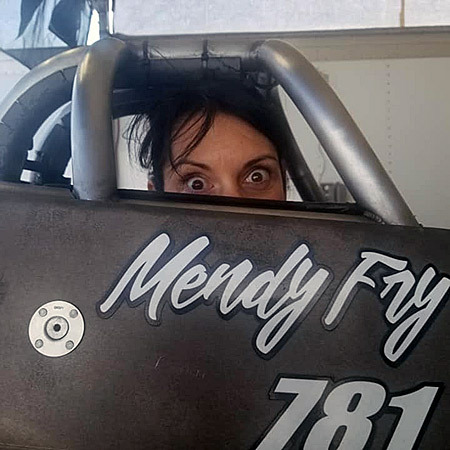 This day would match Mendy Fry with a first time finalist, Dusty Green. 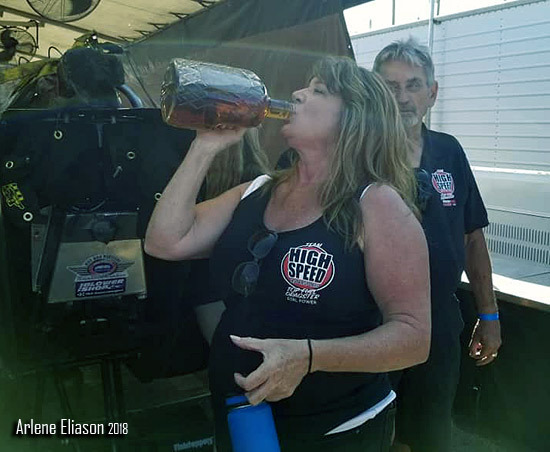 Both California drivers. 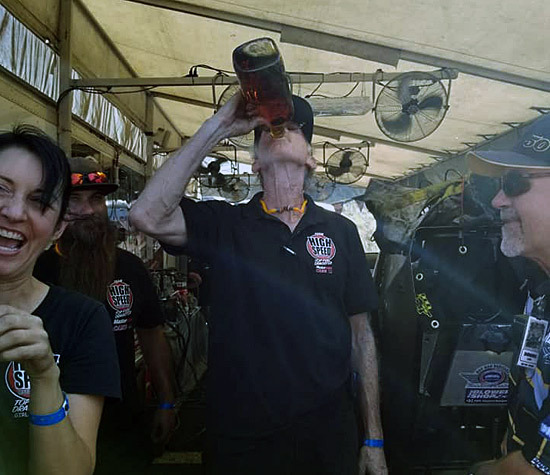 Fry left nothing to doubt this was her race running low e.t. 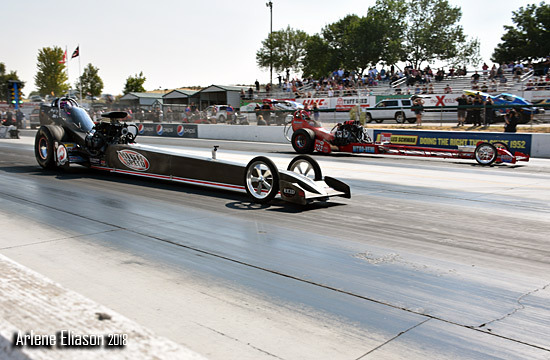 and top speed of the meet at 5.66 - 254.71 to easily defeat Green who finished at 6.04 - 198.73. 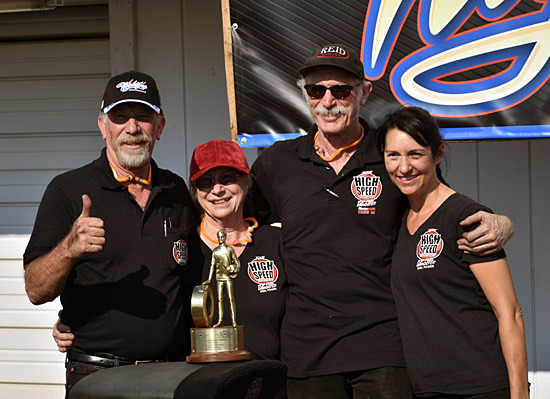 Winner, winner chicken dinner. 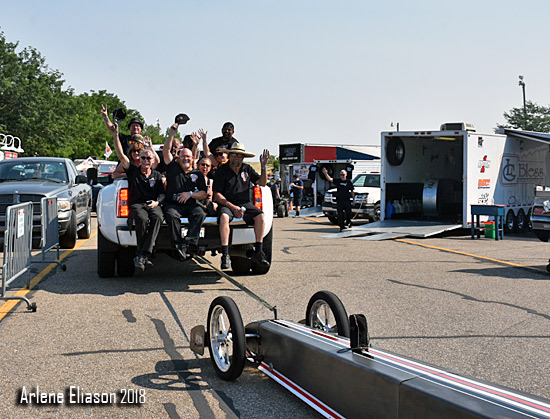 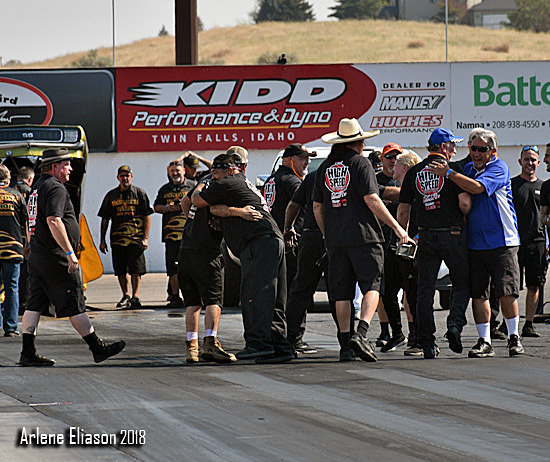 Not a Kalitta mosh pit but the crew went into celebration mode. 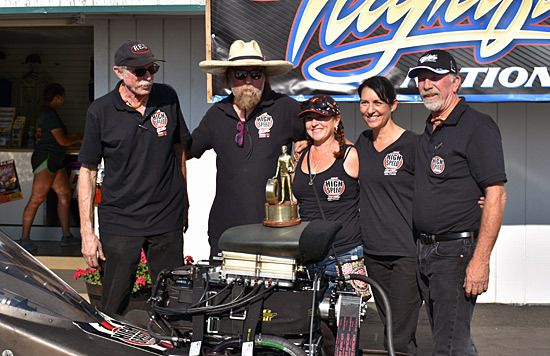 This was Fry's 2nd win in 3 races. 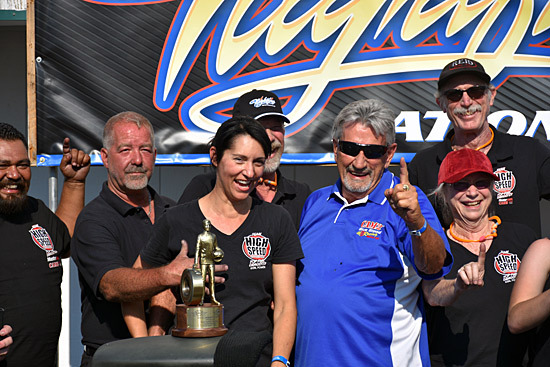 With a runner-up at the season opener she has a commanding points lead. 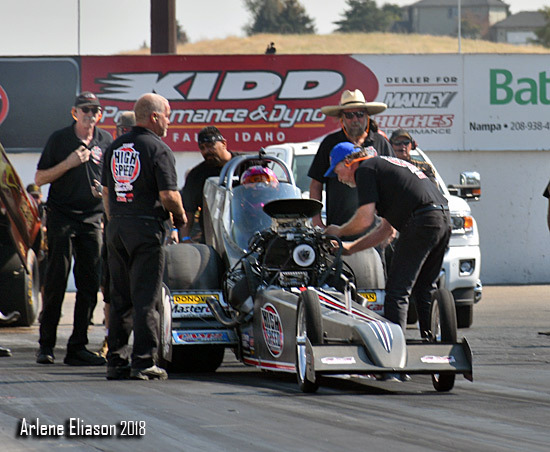 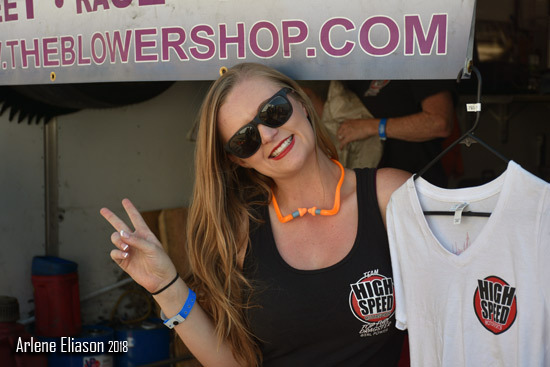 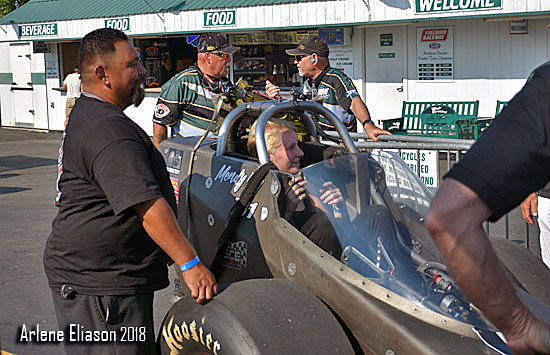 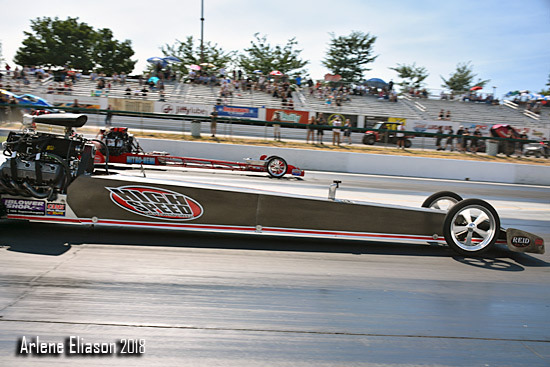 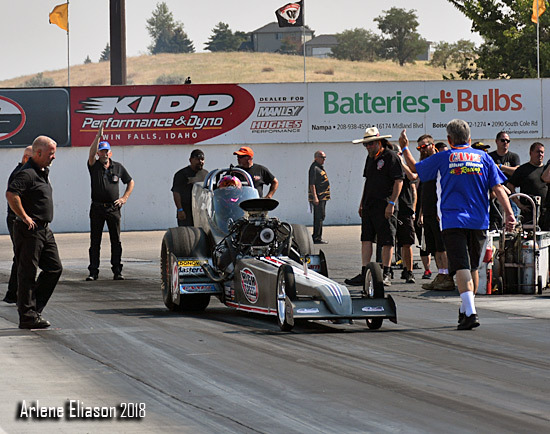 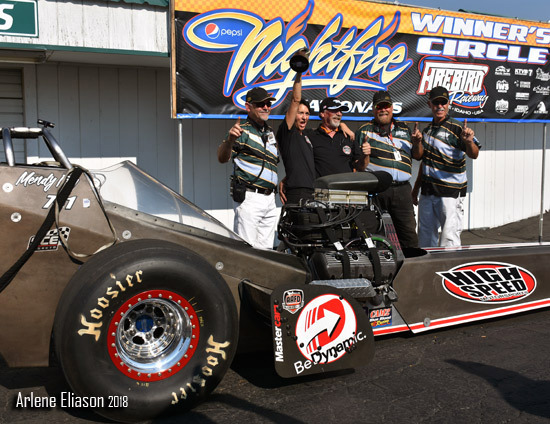 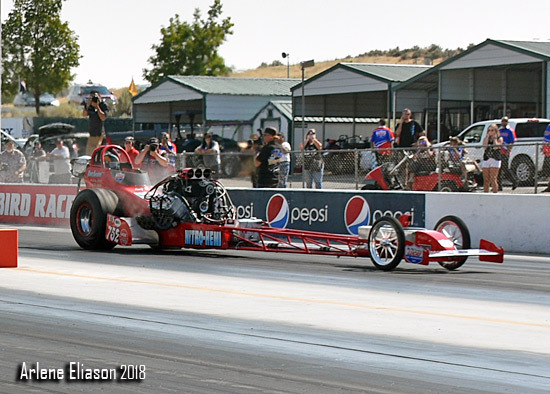 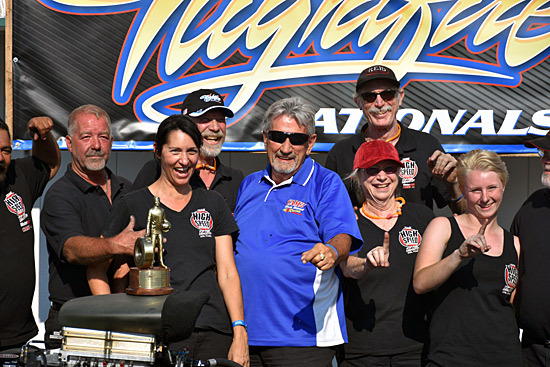 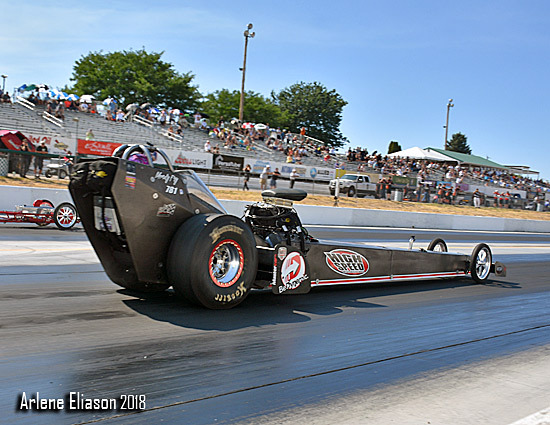 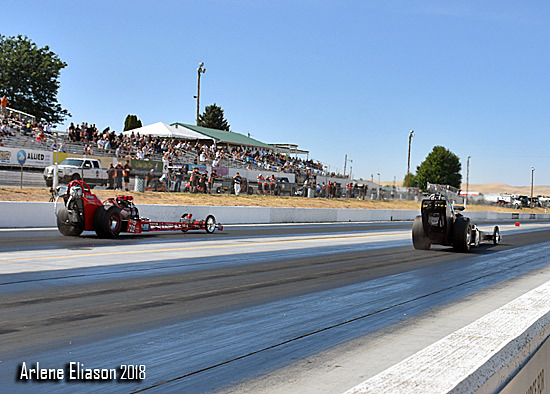 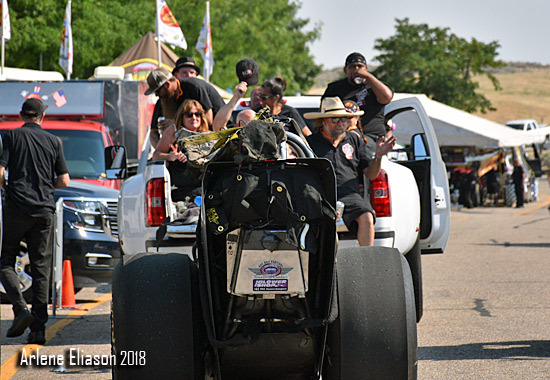 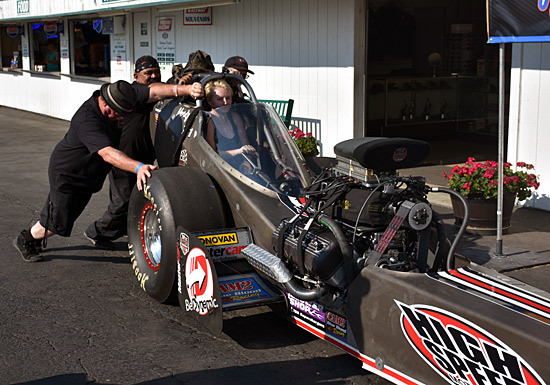 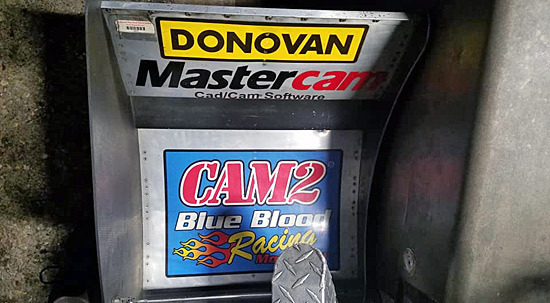 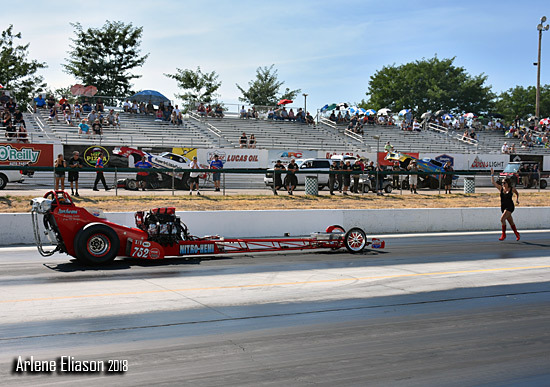 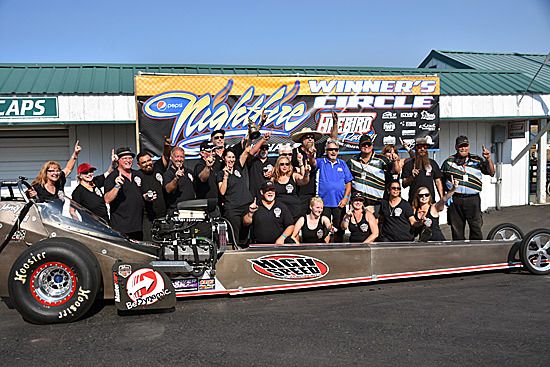 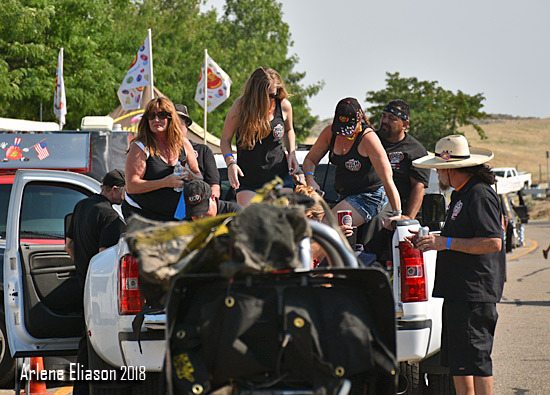 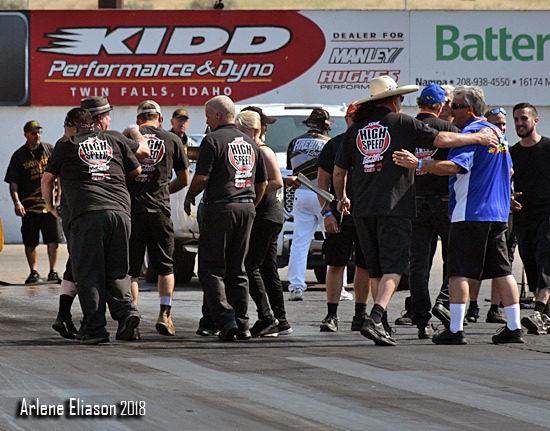 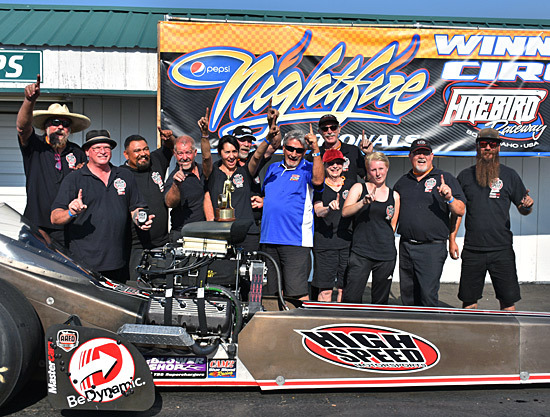 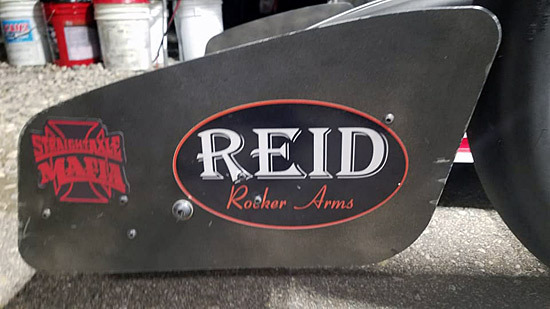 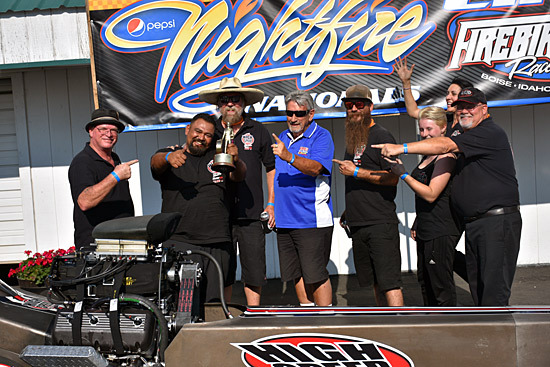 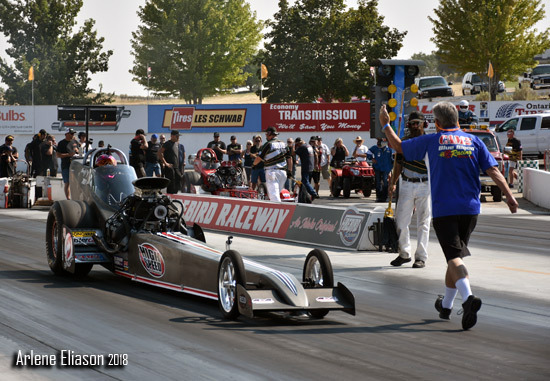 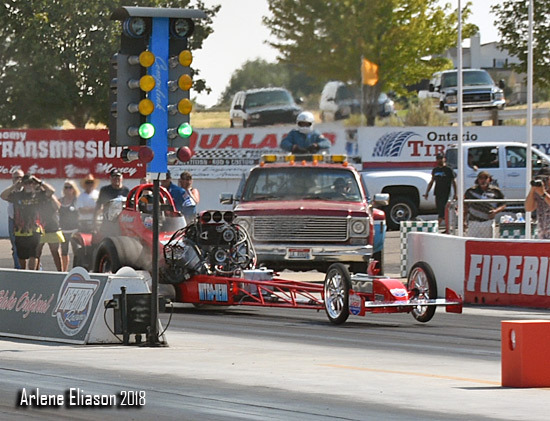 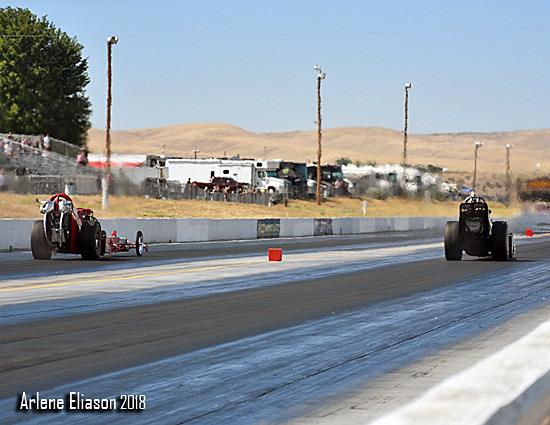 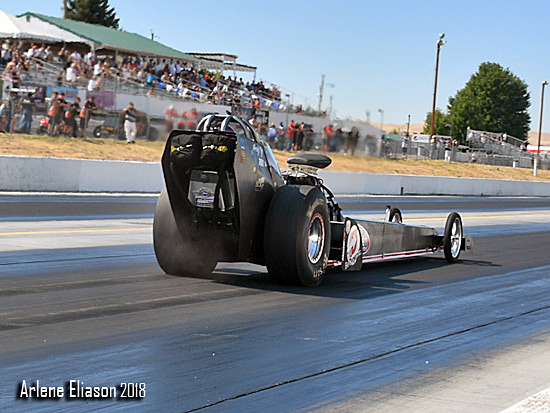 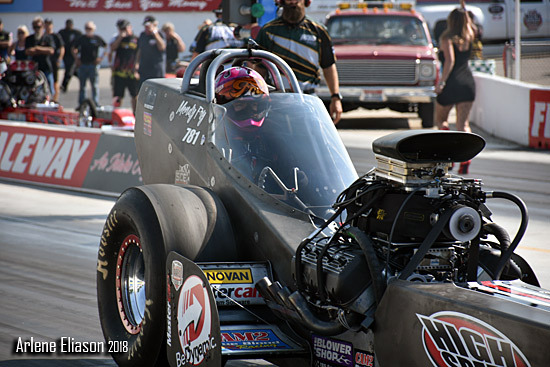 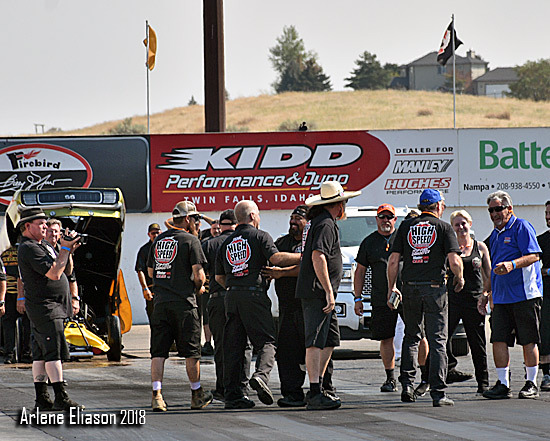 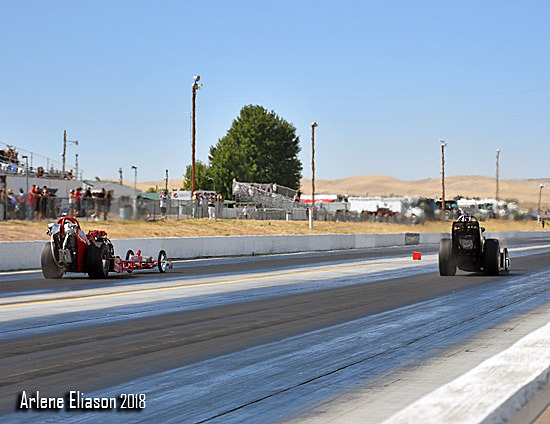 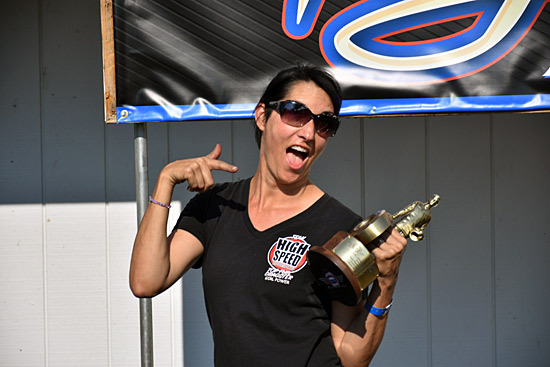 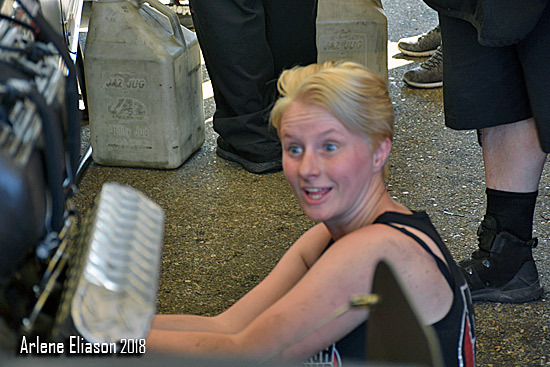 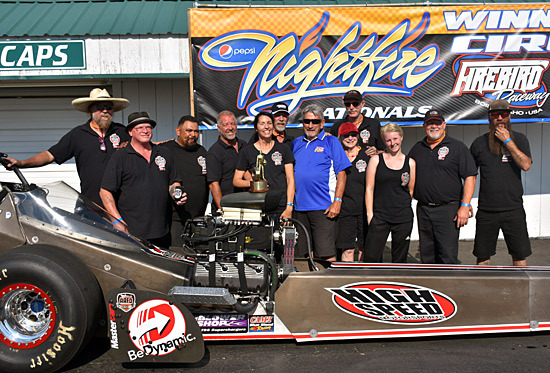 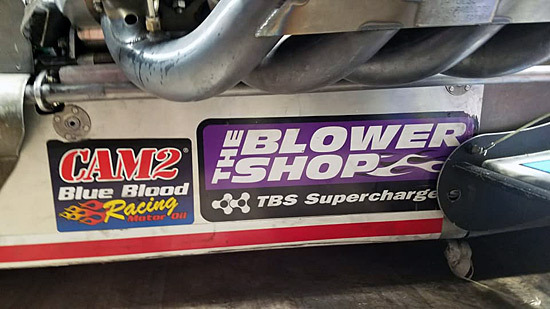 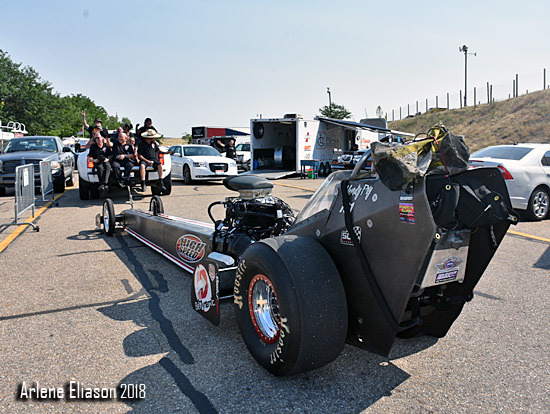 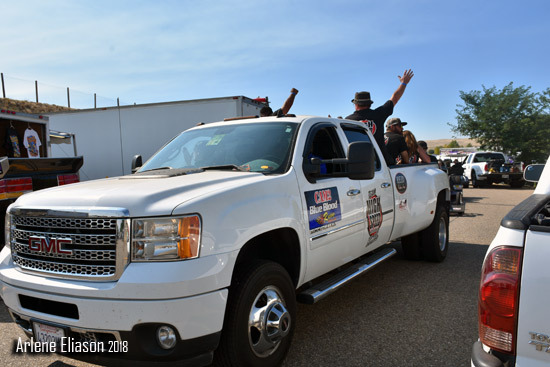 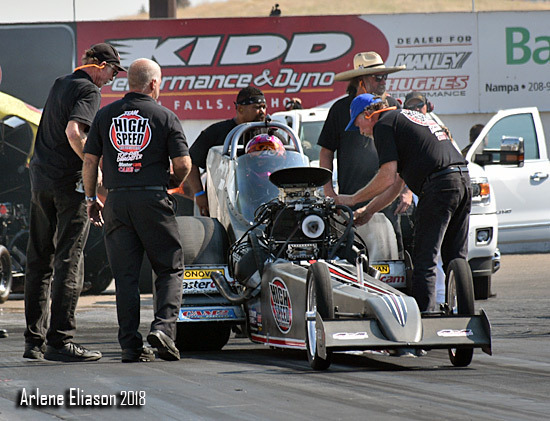 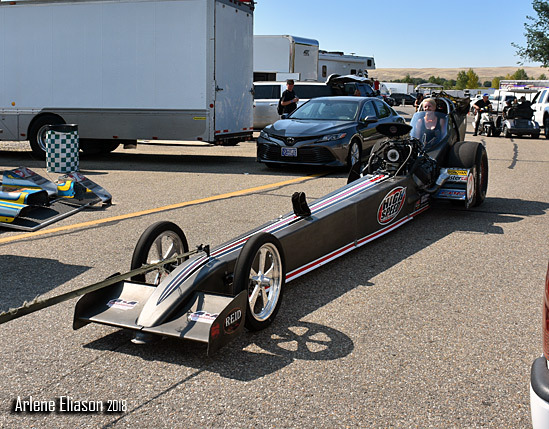 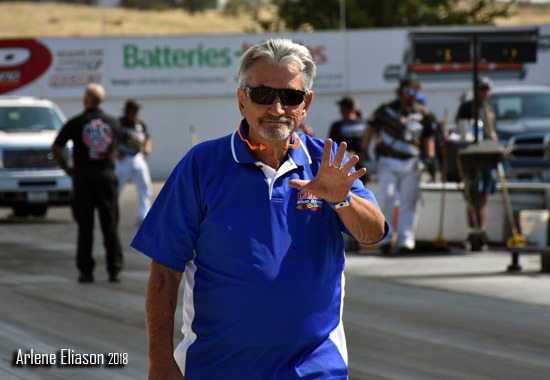 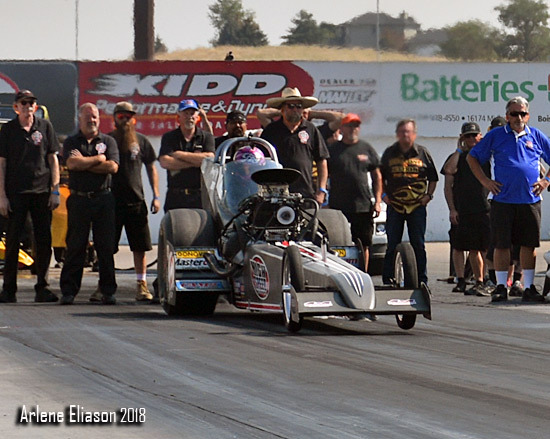 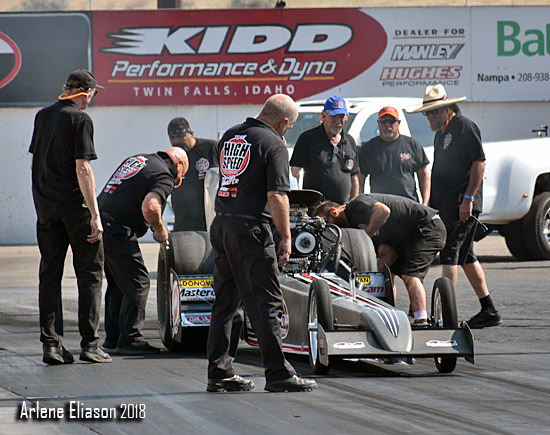 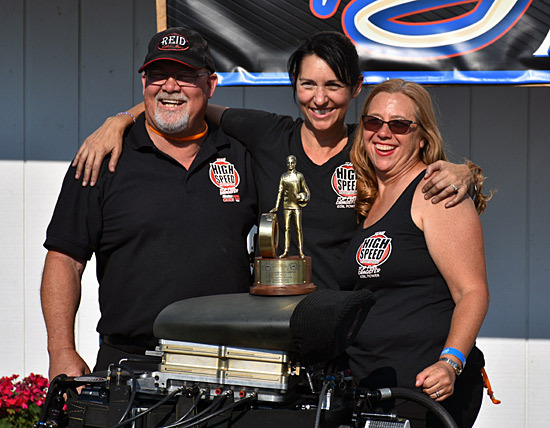 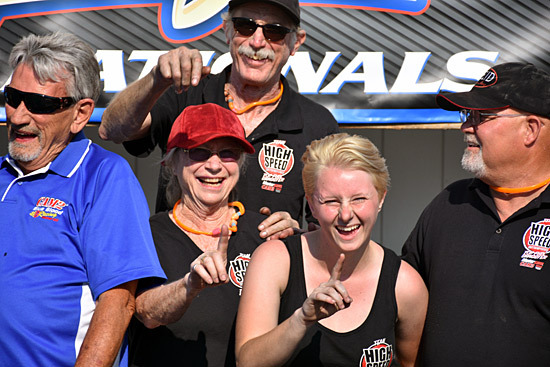 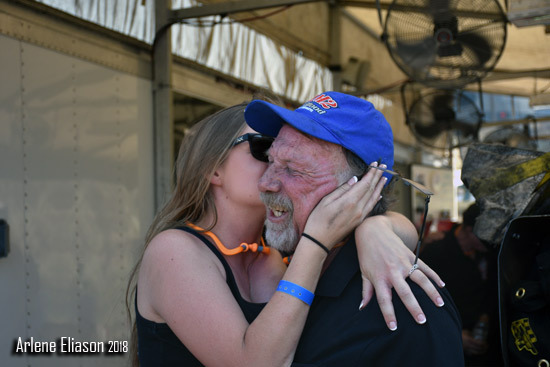 With only 2 races remaining, the team has all but cinched the 2018 NHRA Hot Rod Heritage Racing Series Top Fuel Championship. 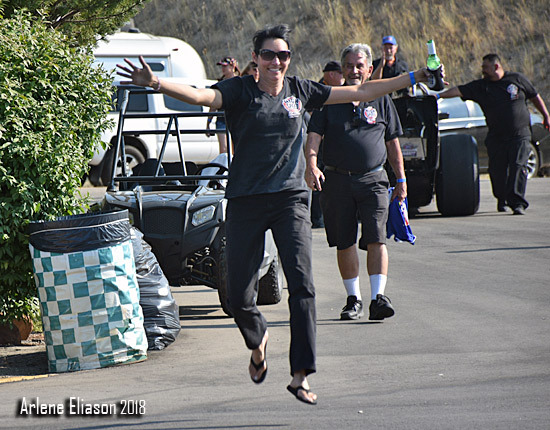 We pick it up as the car is returned to the pits. 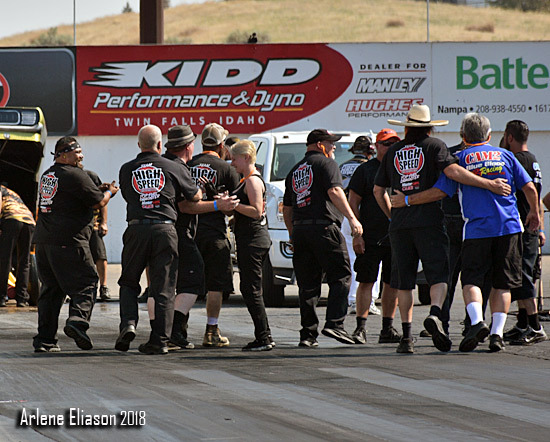 The following shots are what a team that races hard and plays hard does after a win. 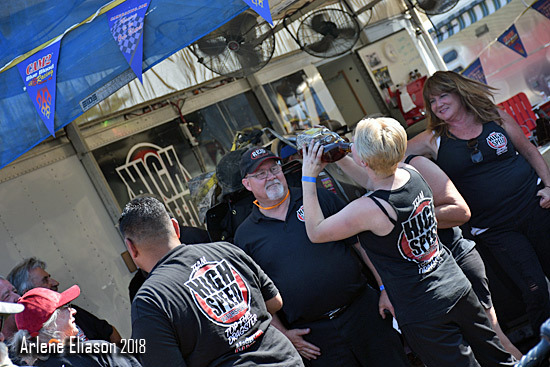 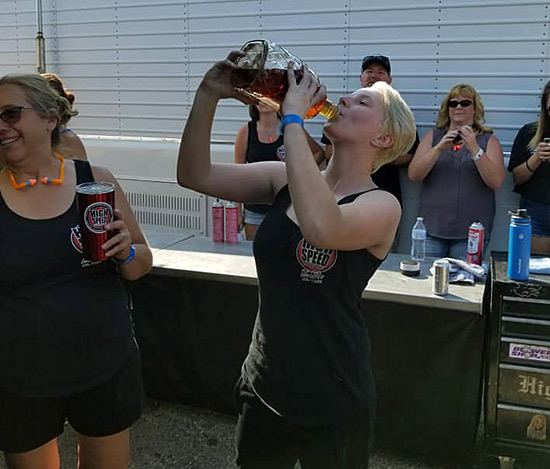 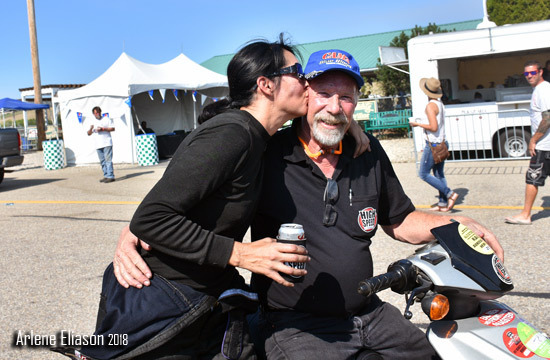 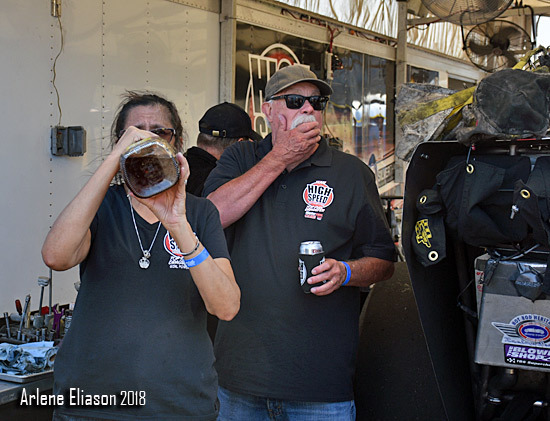 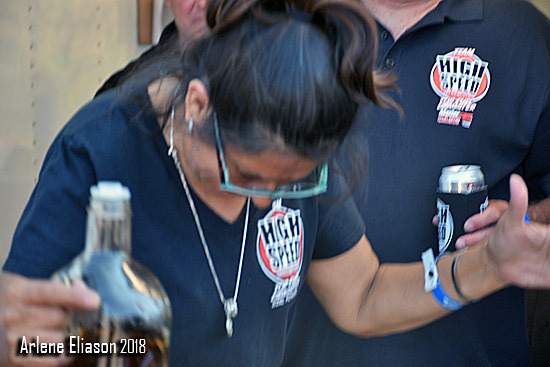 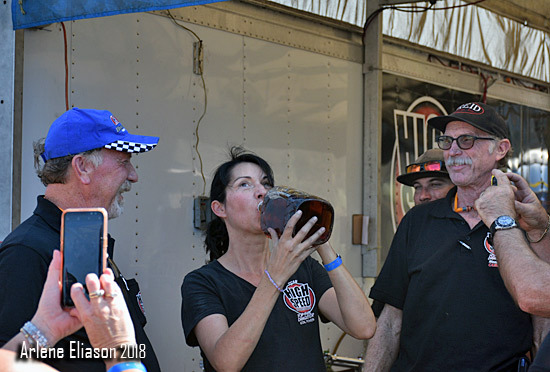 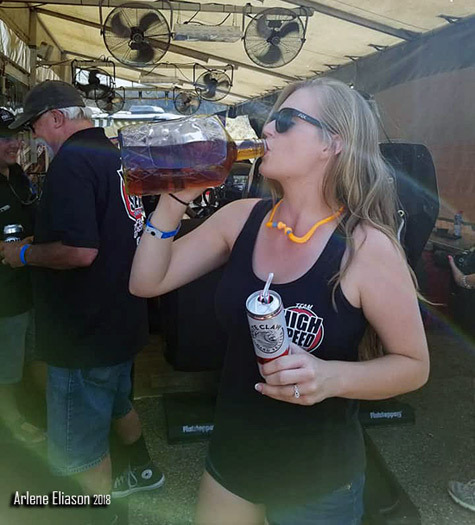 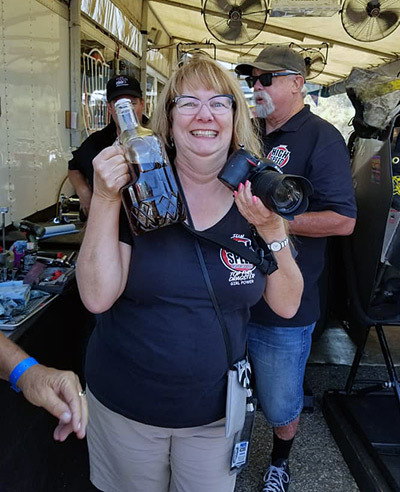 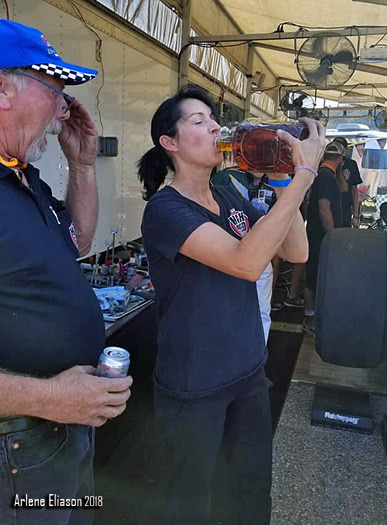 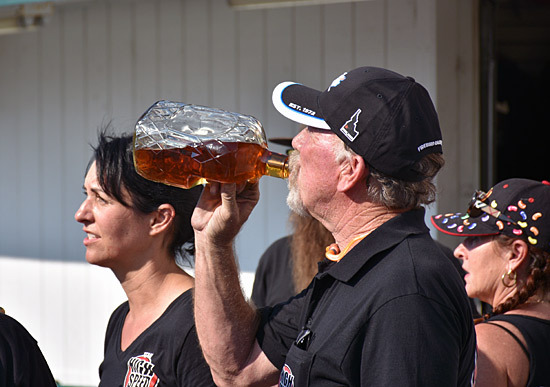 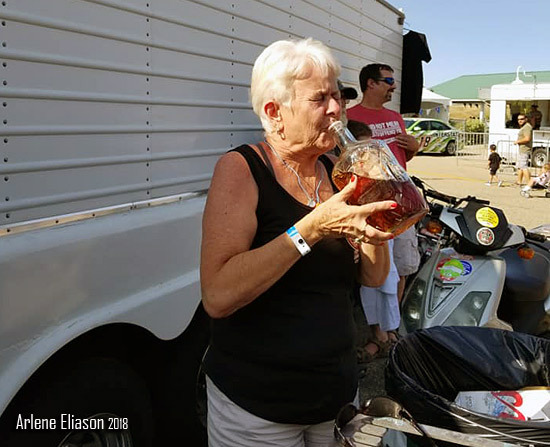 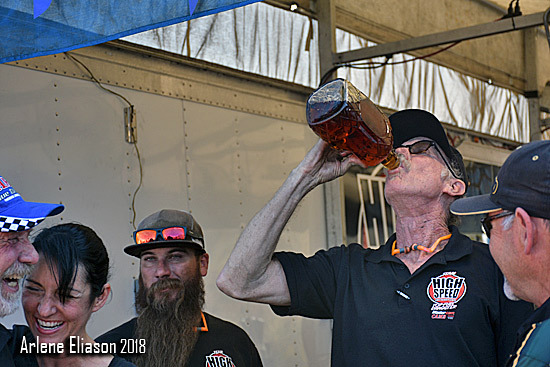 There is a lasting tradition at High Speed Motorsports that after a win everyone is obliged to take a swig or three of Crown Royal. 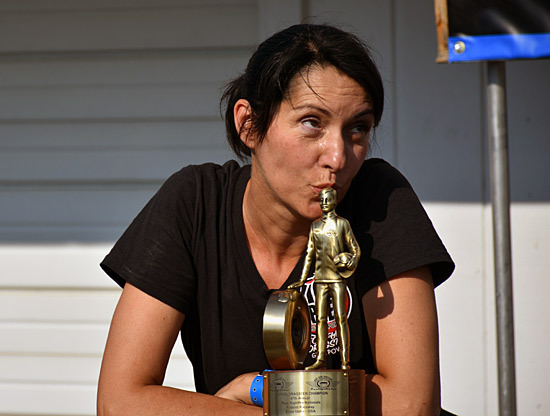 In the beginning it was a fifth in the traditional blue velvet bag. 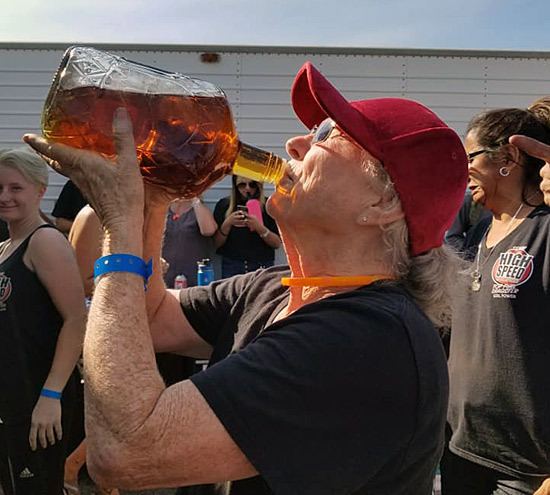 It then went to a 7.50 liter bottle. 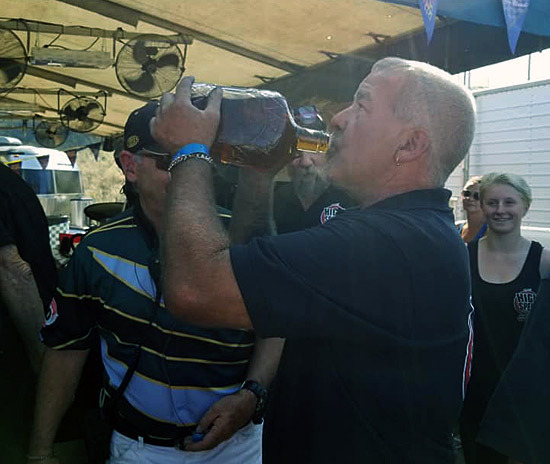 Do they sell Crown in a 55 gallon drum? 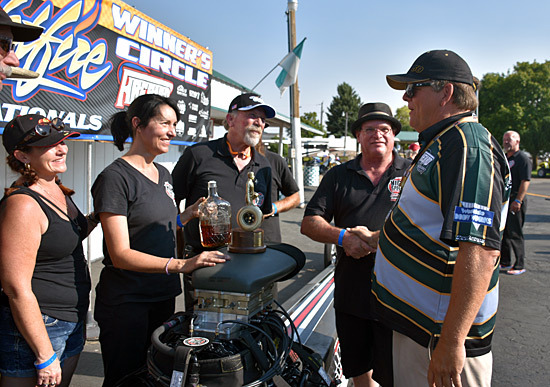 Slightly plied, and well deserved, the team headed for the Winners Circle. 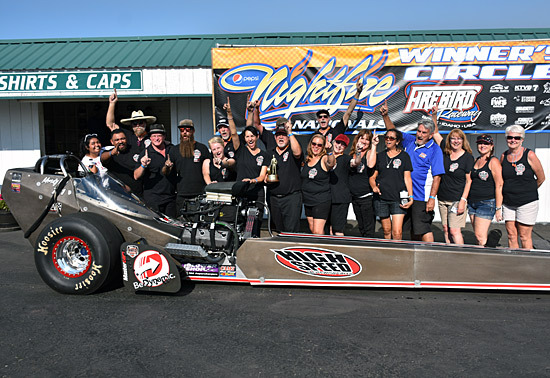 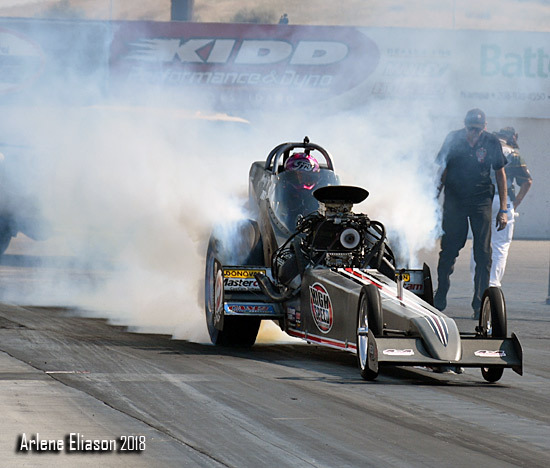 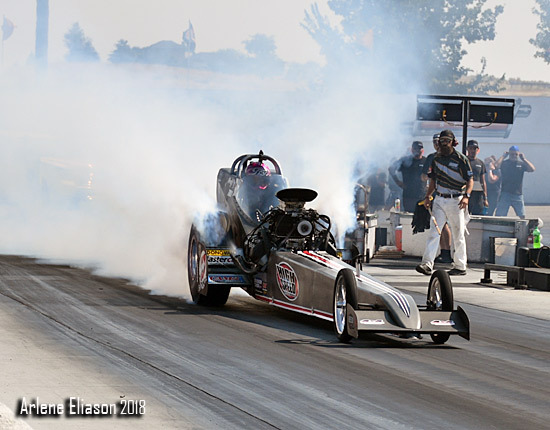 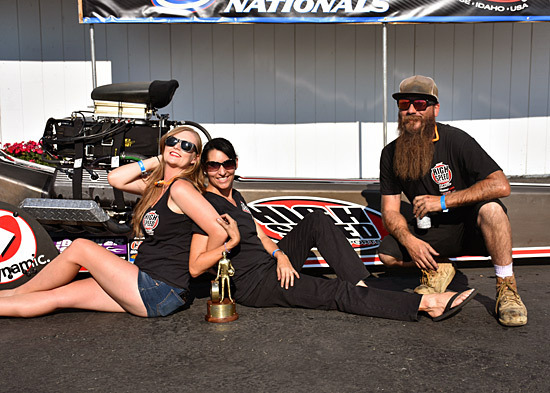 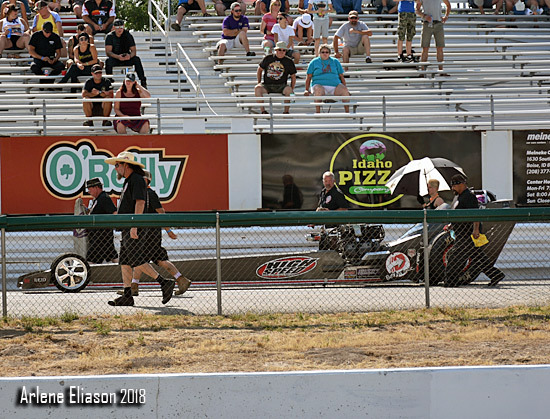 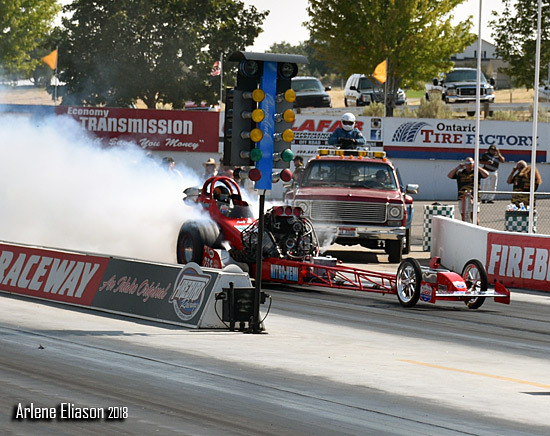 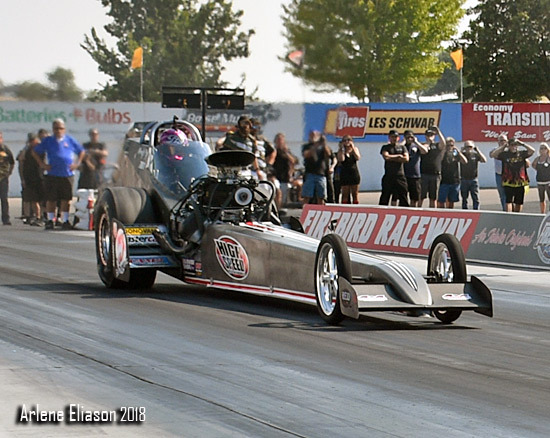 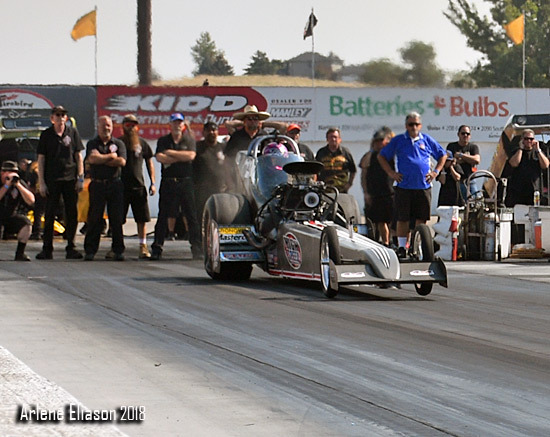 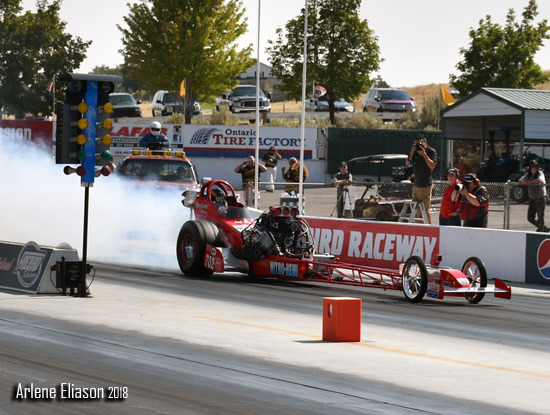 Next stop, Nitro Nationals at Osage Casino Tulsa Raceway Park in Tulsa, OK. September 21-22.